On-Board Hydrogen Tank. Easy quick release fill-up at most H2 stations in 30 seconds. Proton Exchange Membrane Fuel Cell vertical stack with high performance 3 outlet under car exhaust system. Powerful high torque DC electric traction motor with 4 gear Front Wheel Drive. Monique Split Body for easy service and visibility. Double wall H2 bladder tank. No damage in 5 mph crash test. 24mm 5 Spoke Rims with 40 series low profile tires. Top speed of over 5 mph. With down hill range up to 1/8 mile. Advanced material light weight construction for a low 6 ounce curb weight. Excellent handling with 4" wheel base, live axle solid suspension system and center-tunnel fuel cell layout. Full 1 year or 10 mile warranty and free 30 day test drive. Complete Parts and Service Center with factory trained technicians and free support. Safer than gasoline. Only water vapor tail pipe emissions. Can be driven by ages 12 and over. Includes 36 page owner and shop manual. Only screw driver needed to assemble. First Hydrogen Car available to the general public. Green Vehicle and Consumer Electronics (CE) certified. TIME Magazine 2006 Award Winner for Best Transportation. The 2006 H2-Racer model is a special limited edition first production collector item. One easy payment of $62 includes taxes, licenses, preparation, destination and delivery charges. Tax credits can apply for Alternative Fuel and Global Warming CO2 emissions. A special price of $102 will also include a home Hydrogen Gas Solar Service Station for free energy independence. Solar Powered with battery back up UPS unit. Includes 6 by 2 inch roof mount solar panel. Same form factor design as gasoline pumps for easy installation. Durable 7 inch hose with standard quick release. Large 3 ounce water capacity. No under ground tanks or plumbing needed. Fast single stroke H2 fuel tank vacuum purge system. Free setup and H2 refueling training. Consumer Electronics (CE) approved. Safer than gasoline. Install at any road side location. Can be operated ages 12 and over with adult supervision. Tax credits can apply for Solar Energy. $62 includes delivery. No permits, oil company lease or payments. Only water and sun needed. All cars and gas pumps in stock for immediate delivery (allow 1 month taking orders for 2010 models). Prices include all taxes, delivery, destination and handling. 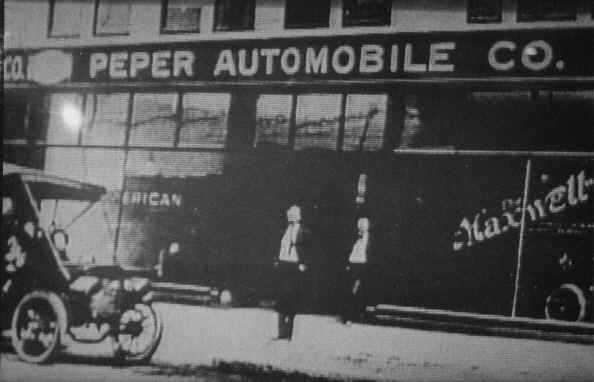 Credit Cards -- PayPal -- -- Peper Automobile Co. A division of Car Code. Providing Automobiles, Products, Research, Development, Engineering, Test, Diagnostics and Training Since 1902. Inquire about free H2-Racer test drive, Hydrogen generation and fueling demonstrations. Copyright © 2006 Alex C. Peper dba Car Code. All Rights Reserved. 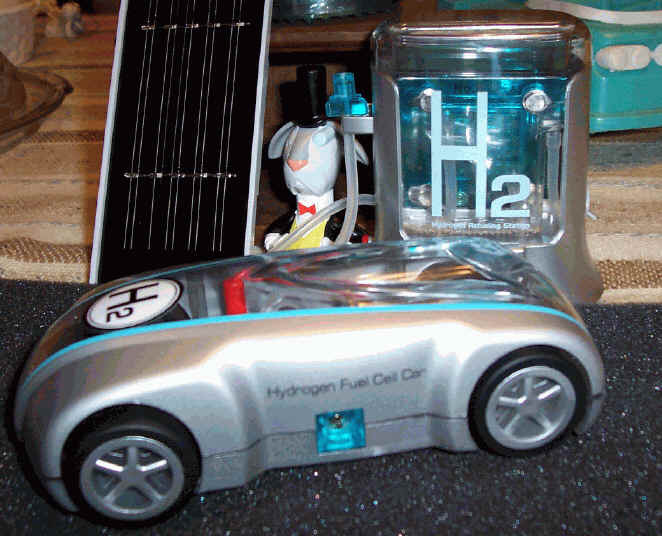 eager to see hydrogen fuel cell vehicles on the road in the near future.